Learn about puppies, from training and feeding to choosing puppy supplies. Here's everything you need to know about raising your new puppy. Have you decided to get a puppy of your very own? Congratulations! 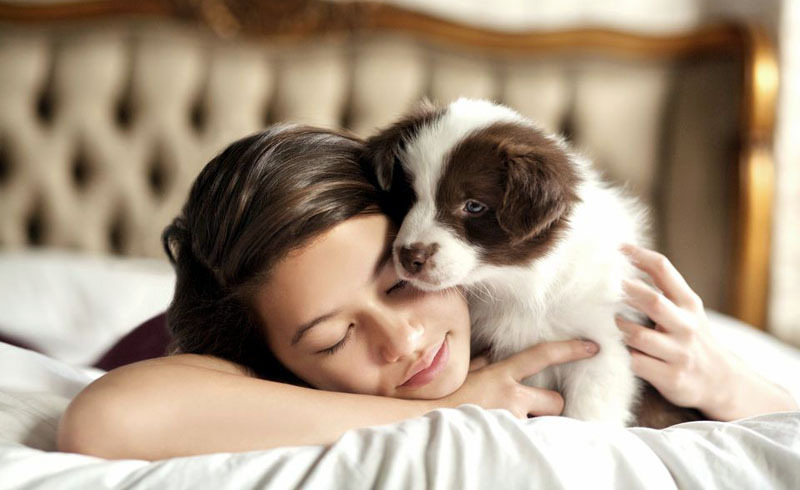 Bringing a new dog into your home will change your life forever. Puppies are definitely a lot of work, but they also bring plenty of joy to your world. Whether you are getting your first puppy or just need a refresher course, here's what you'll need to know to get your puppy on the right track to adulthood. [post_ads]If the time is right for you to welcome a puppy into your home, this is wonderful news! Now it's time to figure out how to choose the right puppy for you and your family. Perhaps future companion will find you. He comes into your life by chance, and in an instant, you feel that connection and you just know he is the one. But it doesn't always happen like that. Often, you must take on the important task of going out and finding the right kind of puppy for you. First, examine your lifestyle and consider what you are looking for in a puppy. Purebred or mixed breed dog? Big or small? There are even more factors to consider, such as grooming and exercise needs, temperament, and potential health issues. Next, you need to decide where to look for your new puppy. Will you visit an animal shelter to adopt your new dog? Perhaps you will seek out a responsible breeder. Research and patience are essential throughout this process. When you have finally found the right puppy, you'll have a friend for life. Before you bring home your cute little furball, you need to ensure that your home is as safe as possible. You'll also want to protect your belongings from destruction by an adventurous puppy. It's essential to puppy-proof your home before your new dog comes home. This process is similar to toddler-proofing a home, but there are differences. First, get an idea of the puppy-eye-view of your home. Electrical cords, potential toxins, and breakable items should be placed completely out of reach. Remember that your puppy can jump, climb, chew and scratch, so place what you can very high up or in a locked cabinet. Be aware that "child-safe" latches do not tend to work on curious and determined puppies. It's best to secure lower cabinets and drawers with locks or metal hardware. Basically, it should be chew-proof and require opposable thumbs to operate. Install durable baby gates or pet gates if needed to keep your puppy away from certain rooms of your home. This may be a good idea to keep your dog away from the kitchen (especially the trash can) and the stairs if you wish. Proper puppy-proofing not only keeps your puppy safe, it also gives you peace of mind. As your puppy joins the family, the all-important job of naming this new addition is a priority. Obviously, you will be using your dog's name constantly throughout his life, so your choice should be a wise one. Pick something that has a nice ring to it and is not too long. It should be easy to say and simple for your puppy to understand. It's also important that your dog's name does not sound too similar to other words you plan to teach him. You may want to name your puppy something that describes his personality or appearance. Or, you may want something very unique. Check out some name suggestions to help your decision. Once you have chosen a name, use it plenty. Before long, your puppy will learn his name and respond to it. [post_ads]Your new puppy will need certain items from the very start. Some are essential for your pup's well-being, while others are quite helpful. Most important items include a leash and collar with identification, food and water bowls, and chew toys. You should also get a comfortable dog bed and, preferably, a crate or kennel. Some of these items can last as your puppy ages but bear in mind that many of them will need to be replaced when your puppy grows. Collars may be adjustable up to a certain point. A kennel can be purchased in a larger size for the future but should be blocked off with boxes or other objects to make it the right size for the puppy. It's also important to properly prepare for the expenses associated with dog ownership. Create a budget and try to stick to it. Be sure to allow extra money in your budget for unexpected costs. Your puppy's diet can make all the difference in his future health and well-being. Before you decide on a puppy food, do your research. Talk to your vet, other pet professionals, and fellow dog owners. Remember that if the food you initially choose does not meet your expectations, you can gradually switch to another food. In today's dog-friendly world, the choices of diet seem endless. Some owners like to feed premium foods, while many feel that holistic/natural diets are best. However, homemade and raw diets are becoming increasingly popular. While researching puppy food, consider the quality of ingredients, inclusion of proper nutrients, and taste. Make sure to choose a food that is appropriate for growth (not adult dog food or "maintenance" formulas). Basically, the food should be healthy for your puppy and he should enjoy eating it. Preferably, you will find a veterinarian before you get a puppy. Within a few days of taking your new puppy home, you should bring him to your vet for a general exam. Take steps to make it a good experience for your puppy so that he will be less likely to fear the vet's office. Over the course of your puppy's first six months, you will see a lot of your vet. This begins with puppy vaccines and usually leads to spay or neuter. Typically, puppies should be spayed or neutered around six months of age. Your vet can help identify any potential health problems early on, and advise you on caring for your dog long-term. ​The initial visit also opens the doors of communication with you and your vet. To help keep your puppy's expenses down, you may consider purchasing pet health insurance, which could cover up to 80% of your dog's health care costs. Just like human babies, puppies (and kittens) need basic immunizations to take over when maternal antibodies fade. The puppy vaccination series is one of the most important aspects of your puppy's early life. Pet vaccination has been a controversial subject for years. Many people worry that we are over-vaccinating our pets, possibly putting them at risk for auto-immune issues and vaccine reactions. That's part of the reason many vets are moving towards a three-year protocol (rather than annual) for adult dogs. However, when it comes to puppies, there is a different set of rules. Vaccines protect your puppy and other dogs from potentially fatal illnesses. Routine vaccine visits also allow your vet's office to see your puppy every few weeks and monitor his growth and overall health. Talk to your vet about the best immunization plan for your puppy. [post_ads]House training is one of the first things you will teach your new puppy. This process can sometimes be quite arduous, though some puppies catch on earlier than others. You should begin house-training as soon as you bring your puppy home, but it takes patience. 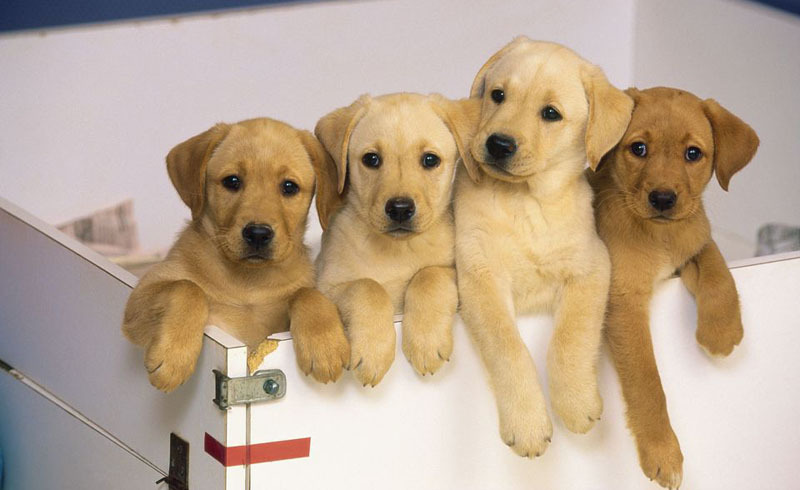 Puppies are generally not able to control their bladders and bowels until about 12 weeks of age. If your puppy is younger than this, just be patient. Starting early can help get your puppy on a routine. As he grows and develops control over his bodily functions, he will already know what to do. As a general rule, you should take your puppy to the designated "potty spot" immediately after eating or drinking. However, accidents happen, so be prepared, consistent and patient. Beyond housebreaking, there are many more things you will need to teach your dog. Start by working on socialization. Next, leash training will set the stage for teaching basic commands, like sit, come and stay. Teaching various basic commands can help you curb some behavior problems. Just remember that puppies are curious, active and teething. They put everything in their mouths, including your hands! Work with this by replacing the inappropriate object with an acceptable ​toy or safe chew. Distract your dog from mischievous behavior by offering something more pleasing, like a game, walk or other activity. Reward your puppy with treats and/or praise for shifting his attention. While puppy training can be a challenge, the outcome will make your efforts worthwhile. A solid foundation of training provides structure and gives your dog confidence. Well-trained dogs are happier dogs. The bond you have with your puppy begins the moment he comes into your life and never stops growing. You can nurture this bond through affection, training, grooming, playtime, general exercise and participation in various activities. You may want to join an obedience class, start training in dog sports like agility and flyball, or participate in dog shows. One of the kindest ways to bond with your dog and allow your dog to bond with others is to get involved with animal-assisted therapy. If your puppy is right for therapy, he can begin training to visit people in hospitals and nursing homes or help children to read and learn. Strengthening and preserving the human-canine bond benefits the health and well-being of both you and your puppy.